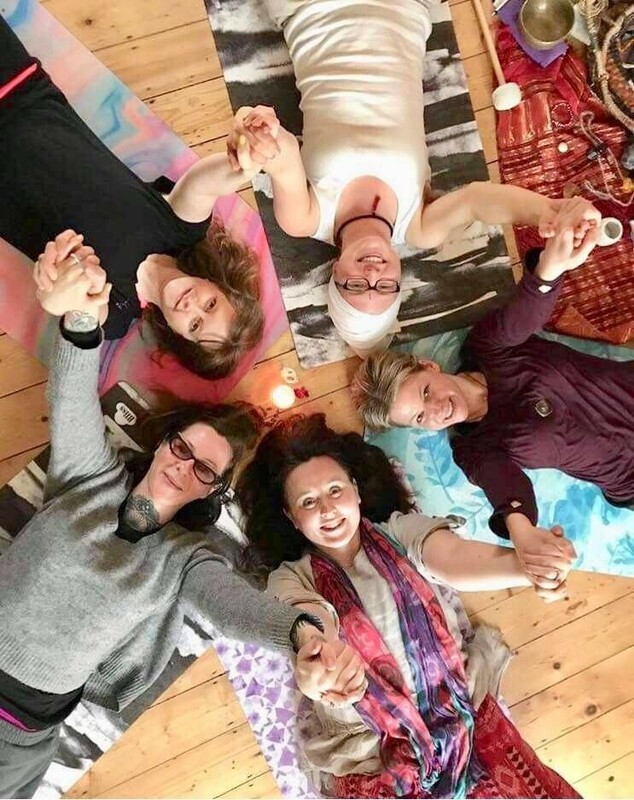 Anna and Maria have created day-retreats and celebrations together with Kundalini Yoga, Yoga Nidra, sharing & delicious food. Next one to be decided. Kundalini Yoga: is often described as the Yoga of Awareness. It is a powerful to to embrace all aspects of life, connect to both the finite and the infinite, to the form and the formless. Important to her is the integration of sound healing and vibrations, usually with her synodic moon gong, singing bowl, wind chime, sometimes guitar.... and always our voices. Yoga Nidra & Gong: is a state of consciousness between waking and sleeping. The aim is deep relaxation and meditation. An amazing experience to calm the body and mind, reduce anxiety and tension. The sounds of the gong will accompany your Yoga Nidra journey, bring you into presence and support with healing vibrations.